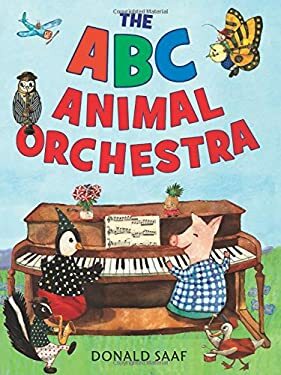 Aardvarks play accordionsButterflies strum banjosChimpanzees crash cymbalsPreschoolers can learn their ABCs with this terrific alphabet primer. The fresh, alliterative text highlights the actions of the animals as they play their instruments from around the world. The expressive artwork also features many other words that begin with the letter showcased in each spread, making this an interactive seek-and-find book.